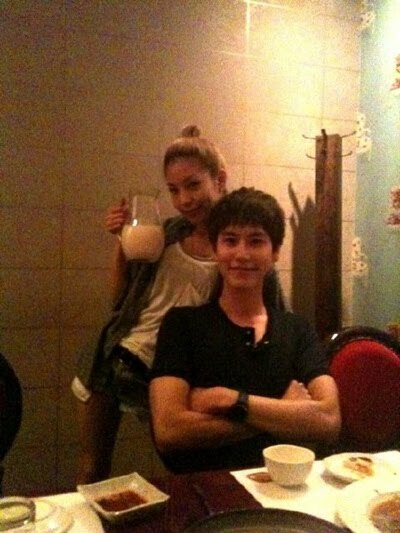 Status: Kyuhyun and BoA would be awesome together. The reason why Super Junior is my favorite K-pop band. Their personalities. Leeteuk, the caring leader/ mother. Donghae the hyper six year old boyfriend. The best kind of boyfriend. Hangeng the member who left Super Junior for China. And Kyuhyun the evil snarky maknae. I swear, Kyuhyun is getting funnier everytime he appears on a variety show. This video is so much of Kyu being awkward. Love his evil laugh before he started to dance. I was horrified when Eunhyuk started dancing to Biebier's Baby. Oh, no Hyukkie. NO. But Super Junior never disappoint me. At least not in variety shows. Guess who Kyu hangs out with lately?? The Queen of Kpop, BoA. I ship them so hard because it's not like everyday we see Kyuhyun not being awkward with girls. Remember Wonder Girls' Hye Rim and SNSD's Seohyun?? And being the snarky himself, in the Super Junior's congratulatory message to BoA, he said, "I like playing games and because of me BoA-nim recorded the song Game."